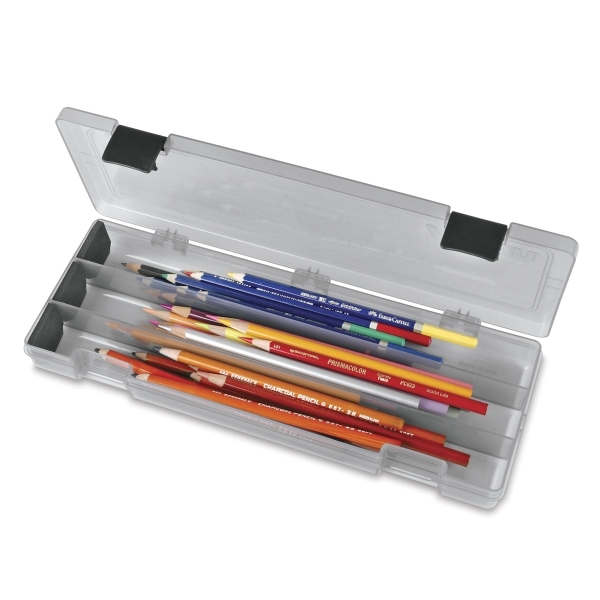 Perfect for organizing pencils, pens, cutting tools, and other supplies, the ArtBin Pencil Box is molded from sturdy tinted translucent polypropylene. Inside, foam inserts protect pencil points and other sharp tips. The ArtBin Pencil Box measures 12.38" × 4.875" × 1.75" (31 cm × 12 cm × 4.4 cm).